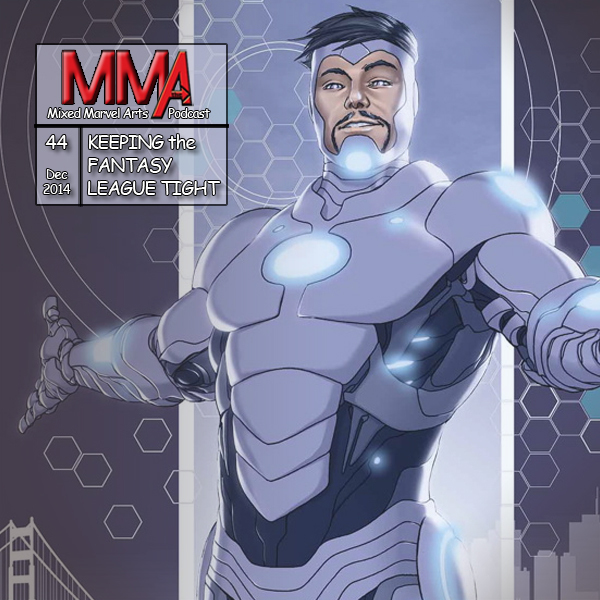 The Mixed Marvel Arts Podcast ends the year with a tight race in the Fantasy Comic League. Brian, Johnny and Shaun tally the score for the month of November, and discuss the finer points of character development once again. Iron Man’s new Extremis suit serves as the catalyst for the latest debate. The trio also dissects the Battleworld map released for the Secret Wars events. Brian offends Shaun by discussing grandmothers who know how to keep it tight.